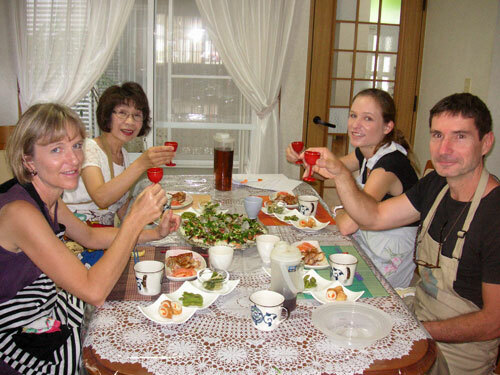 Yoshiko received us with warm hospitality and we felt very good with her, like with a friend. The cooking lesson was en excellent moment. We prepared a lot of tasty dishes and we ate too much! More than a cooking lesson, it was a real way to learn about japanese way of life.